Henry Scott-Irvine invites you to a Christmas Party in Central London that will thrill and delight all Procol Harum fans! a blinding set from Dave Ball's Ballbreakers (pictures here) featuring Sam Kelly (drums), SPY (bass) and Richard Simmons (keyboards). 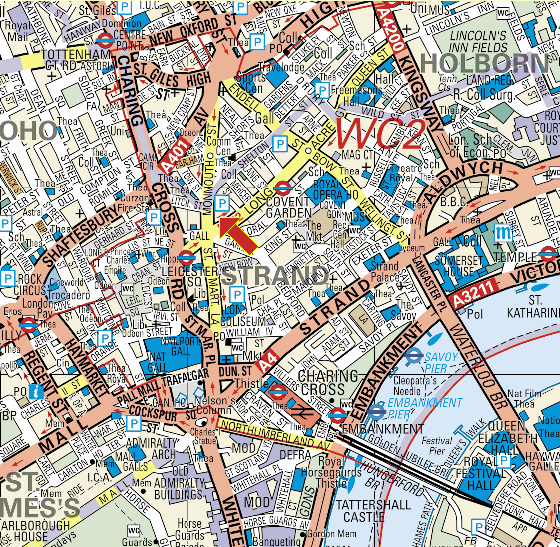 Venue: London’s legendary Marquee Club which is now located at 13–14 Upper Saint Martin’s Lane, next to Stringfellows Night Club and five minutes' walk from Leicester Square underground station. 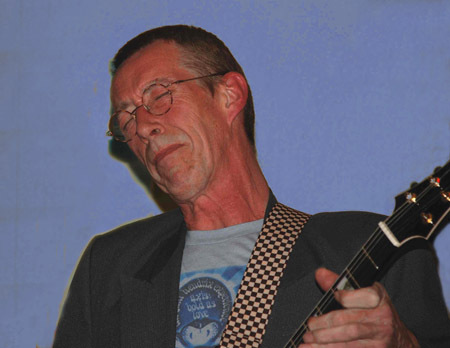 If anyone's still unaware of Dave Ball, he played with Long John Baldry, Procol Harum and Bedlam – among other bands. 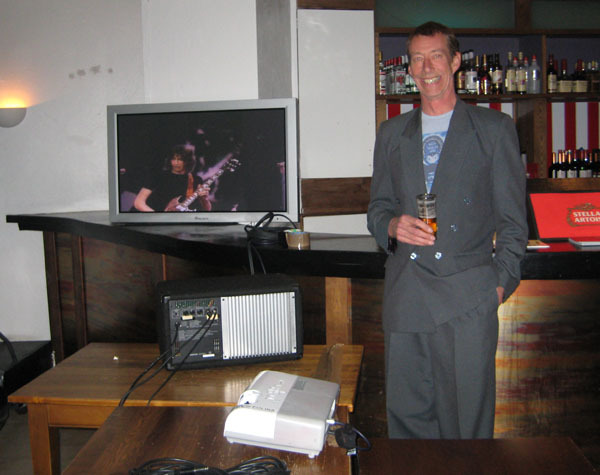 When he played with Long John Baldry as guitarist he explored his life long love of ‘The Blues’. In 1971 he replaced Robin Trower as Procol Harum’s lead guitarist. During November 1971 he recorded Procol Harum Live In Concert With The Edmonton Symphony Orchestra at the Jubilee Auditorium in Edmonton, Alberta, Canada. The album went on to become a Billboard #5 album stateside, spawning the worldwide hit Conquistador, which went to a UK singles chart position of #16. World tours followed. During 1972 Dave then began recording Procol’s Grand Hotel. Although unaccredited, the album still retains much of his unique guitar work. 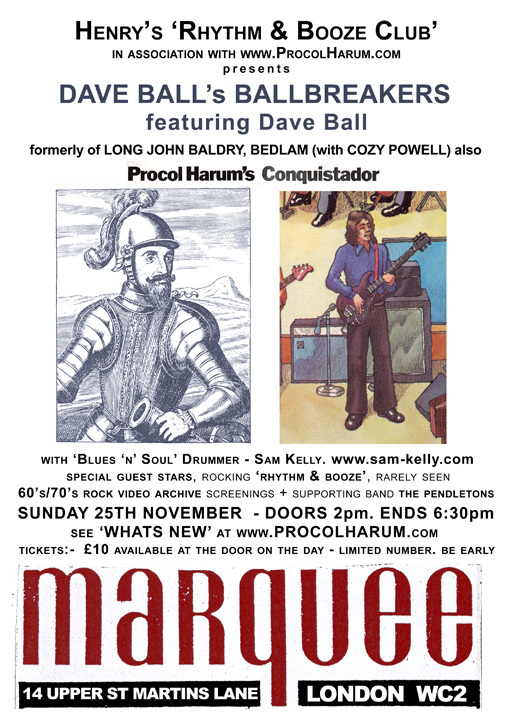 After leaving Procol Dave formed Bedlam and last played at the Marquee Club when it was in Wardour Street, Soho, in 1973/74. Other acts followed including a brief stint with Australian Art Rocker outfit Duffo – a Beggars Banquet signing from the late 70s. Dave played guitar with Duffo at Edinburgh’s Tiffany’s Nightclub in1978 where he delivered a blistering version of McArthur Park! This is the first gig that Dave Ball has played at the Marquee since 1973/74. His rhythm section includes Sam Kelly, legendary Soul/Funk/Blues drummer from Cymande, Linda Lewis, Desmond Dekker, Dr John, Chaka Khan and so on (voted 'Blues Drummer of the year' five times) and his bandmate SPY on bass.